Do you love X-COM, Star Control II, Master of Orion, and FTL? Then take a seat and read over the campaign page for Halcyon 6: Starbase Commander as this game is probably right up your alley. Developed by the humorously named Massive Damage, Inc. Halcyon 6: Starbase Commander takes inspiration from all these fantastic titles but transforms them into a distinctive property. The three main tenants of this game are as follows: lively crew members who each have their own traits, heavily strategic battles both on ground and in fleets, and an emergent storyline which is different every time you play. Of course, many aspects of the 4X genre are included in Halcyon 6: Starbase Commander. You’ll have tons of room to explore over the vast universe, but also focus on research and design for your ships. 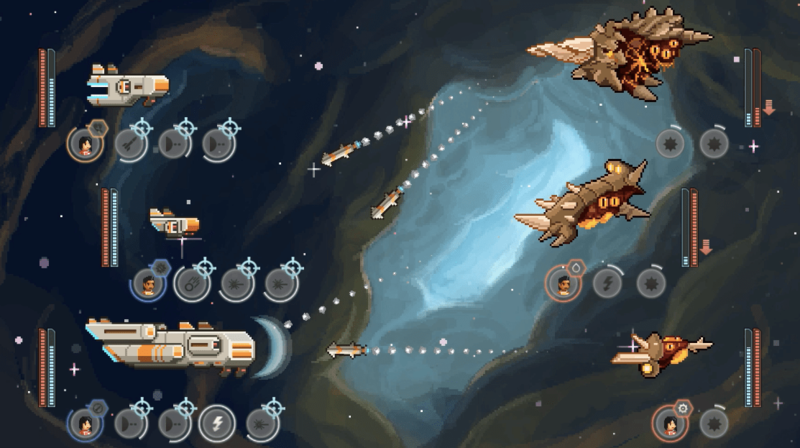 Basically, every player will be able to create spaceships and crew which are in tune with their play style. As far as the story is concerned, it changes depending on your team. Depending on their personalities and actions they may unlock a new story segment. As for the tone, the developers suggest that comedic events may occur as well as incredibly serious moments. 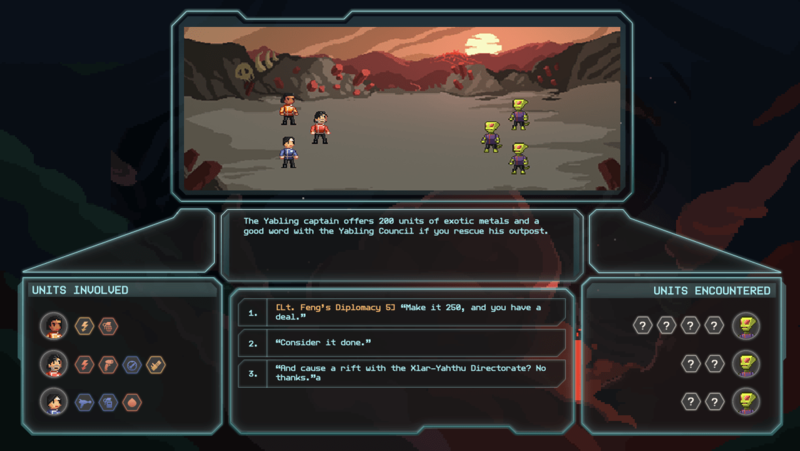 So far Halcyon 6: Starbase Commander has a great look about it. The gorgeous pixel art and unique alien designs both help it stand out against other space-based sims. Even the Square Enix Collective agreed, as they’re now providing PR for the title! This Kickstarter requires a tidy $40,000 CAD (about $31,500) to succeed and currently looks set to demolish that goal. Here’s a link to the Steam Greenlight campaign where it still needs more upvotes. Track the progress of the Halcyon 6: Starbase Commander Kickstarter in our Campaign Calendar.